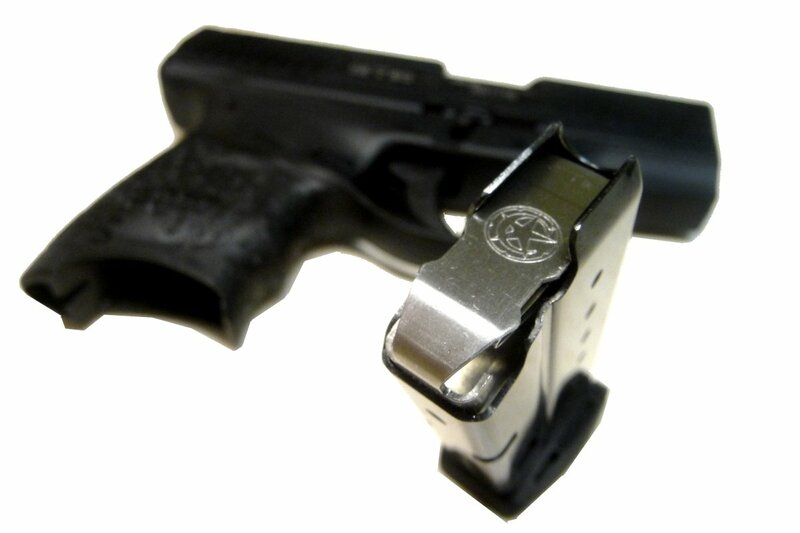 Converts your 7 round Walther PPS M2 9mm magazine into an 8 round magazine without extension. 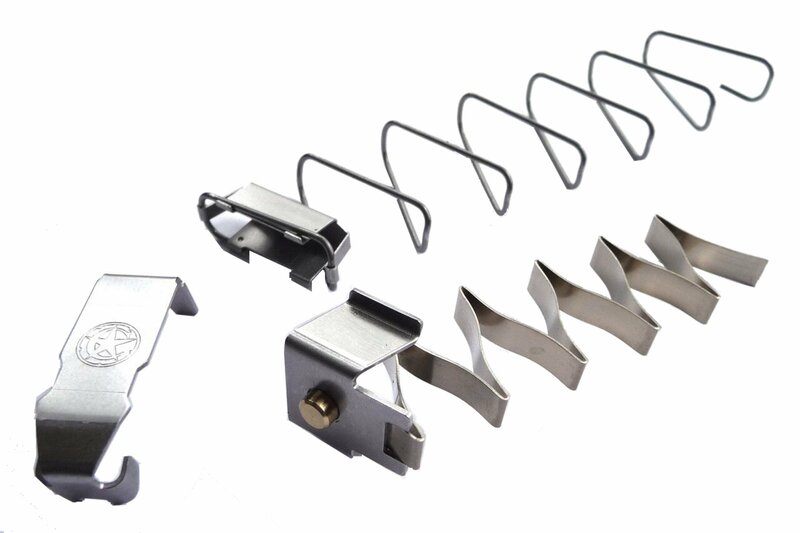 The kit uses your existing magazine tube and base while replacing the follower, spring, and lock plate with MagGuts™ components. I’ve installed the Magguts in one 7-round PPS M2 magazine and one 8-round. Installation was pretty quick, and although I’ve only run about 30 rounds through each, about half FMJ and half HST JHP, both have been perfect so far. It’s great to be able to put 8 rounds in a 7 round magazine. They are a little finicky to put together. Follow the directions closely! I found that some of them work better with the upper spring turned 180 degrees in the mag. Otherwise once they are put together and working they functioned flawlessly. My Walther eats every type of ammo I put in it with the new Mag Guts! Converted my 7 round PPs M2 to 8 rounds capacity. Put a box of ammo through it without incident. Very pleased. I ordered one 7 round and one 8 round magguts for my Classic PPS. The 7 round worked flawlessly. Worked with a variety of hollow points and locked open when empty. 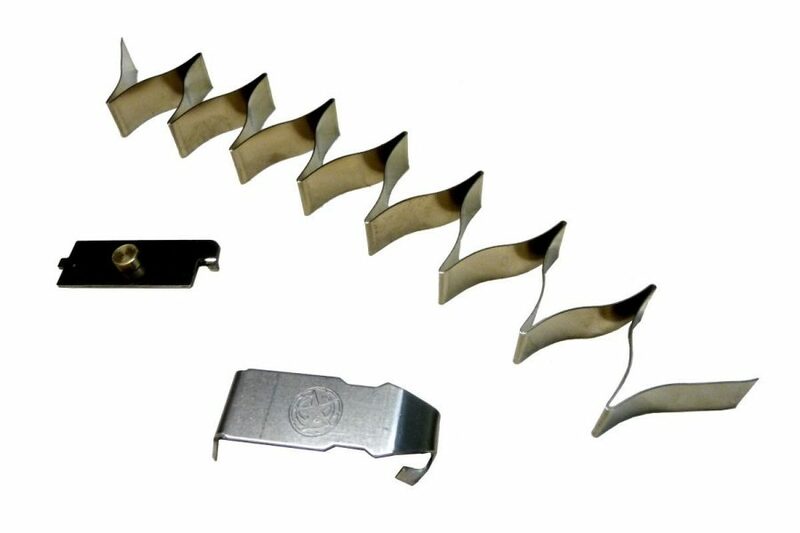 The 8 round magguts unfortunately do not work in the Classic PPS 8-round magazine. But Magguts exchanged if for a second 7 round magguts so I’m very happy. I was able to upgrade my factory 7 round mag to an 8 round mag, all for less than the cost of just buying a new mag outright. I can’t wait to try out this at the range! Got my guts way faster than expected! I purchased both the 6 round and 7 round extensions. Put like 50 rounds through both at the range. Everytime it fed flawlessly. Would absolutely recommend these to anyone looking to up their carry amount in their gun. Great craftsmanship of all the parts, overall highly pleased. Installed these in my original Walther PPS 40S&W 6rd mag and 7rd mag. Shot 150rds through each magazine with no malfunction other than the slide lock not engaging three times. Great product. I love the upgrade. Easy to install. No feeding or function issues. Purchased the 7 to 8 round mag conversion. Works great so far and quick to install. Just pay particular note to the instructions and pictures. Specifically says” install as depicted.” One spring installs against what your common sense tells you. Just follow the picture! easy to install following instructions, can also YouTube if you need a visual. Took it out to the range and it worked flawlessly. Hope to get a few more rounds trough it before I’m comfortable to EDC. Well designed and works as advertised. I have all three versions for the Walther PPS M2 6,7, and 8 round mags. I’ve put over a thousand rounds through my plus one converted mags with no failures of any kind. They are also easier to load. Thanks guys for making these for the 7 and 8 round mags also! Why aren’t more people using these? This works flawlessly in the 7 round magazine of my PPS M2 which now allows me to carry 8+1 rounds with the same mag. Nice idea, but top plate falls out every time the last bullet is ejected. Would not recommend. 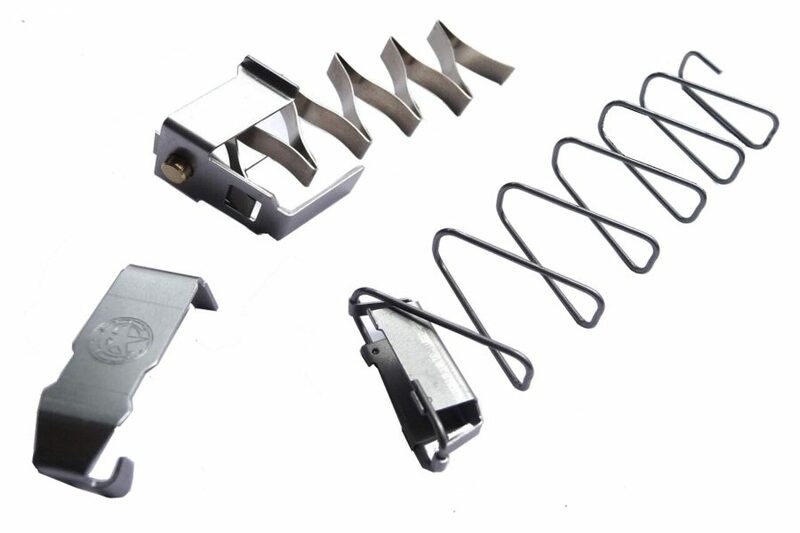 This spring kit feels more durable than OEM springs and add additional functionality. Fantastic product! After failing to make a cut-down factory follower work (it popped out of the mag too easily), I tried the MagGuts kit for the Walther PPS M2 7 round mag. The factory 8 rounder is too long to be practical, so adding an extra round into the 7 round mag seemed the best option. Installation was pretty easy. The graphics and narrative on the instructions were easy to follow. The last round was a bit difficult to load in the mag, but after a couple days of leaving the mag stuffed full, it became easier to load the eighth round. Even when the last round was difficult to load, there were no issues with feeding, ejection, or the slide locking back on an empty mag. Loading the gun from slide lock or with the slide forward presents no challenges. After 500 rounds, the magazine still functions flawlessly. The malfunctions are not worth the extra round. 7 round extension works great, easy to install. 6 round extension a little more difficult. I now have MagGuts in all my Walther PPS M2 magazines – 6, 7 & 8 round all now increased by one. These install in under a minute, and I’ve never had a problem – all work great from the beginning. Highly recommend! Easy to install, just pay attention to the instructional video. Worked really well at the range. Hopefully it will last at least as long as the factory spring does. I really like having a extra round with out changing the look of the OEM magazine. This small modification was just what I needed. It was simple and efficient. Install is very quick and not difficult. There isn’t many magazine options for the pps m2. The factory 8 round magazine was a little too large and excessive. The mod gave me the capacity of 8 rounds in a smaller magazine which I like because bulk isn’t added. I plan on purchasing the 7 round spring for the 6 round oem magazine next! Will definitely purchase from again! Install was super eas and the mag seems to work perfectly. I am hopeful that it will hold up to extended use over time. Quick and easy to install. Works Great. This kit was pretty easy to install. Works great. It’s reliable. Worth it.